Hundreds of residents descended on Gosford’s Kibble Park for the annual lighting of the Christmas tree, on November 30. 2018 - Scottish Pipers march down Mann Street in Gosford prior to the lighting of the Christmas tree. The lighting of the Kibble Park Christmas tree is a yearly tradition that signals the commencement of Central Coast Council’s program of Christmas themed events. 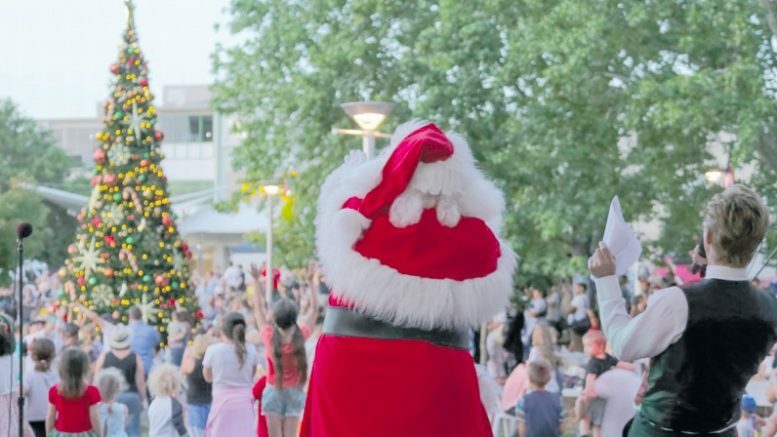 “Hundreds turned up to see the magical moment when the Christmas tree’s twinkling lights were switched on for the first time, lighting up Kibble Park and kicking off this year’s festive season,” said Central Coast Council Unit Manager, Community Partnerships, Glenn Cannard. 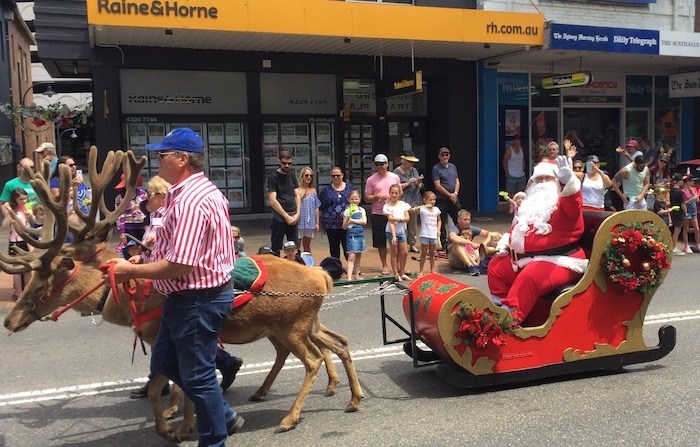 Santa was in town with two very real reindeer. This year’s lighting event saw Santa and Mrs Claus make a special appearance and an evening of live music, Christmas carols, free children’s craft activities, food trucks and entertainment, take over Kibble Park.